Action returns to the "best little venue" in St. Charles this Friday. 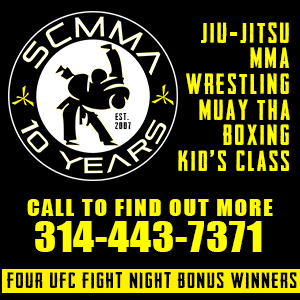 Jim Jenkins and the crew from MMA Sports Federation return to the Heart of St. Charles Banquet Center with an all amateur card. The cozy venue located on the banks of the Missouri River, has been Jenkins' home away from home for several years now and has seen historic bouts like Josh Sampo vs Mike French and Sal Woods vs Marcio Navarro. This will be MMASF's fourth show of 2013 at this venue. "The place has table seats with a great view of the cage, you can't go wrong," Jenkins said. "Friday will have eleven fights total, with two girl fights." Jenkins is a master at building fight cards, and while this event may lack star-power, don't sleep on this one. May's show provided fireworks throughout culminating with a battle between Bo Kunz and Clay Mitchell that had the entire crowd on its feet. "I get a lot of people calling me to see who's on the card," Jenkins said. "I tell them as long as the matches are matched as fair as you can it doesn't matter because it's going to be exciting"
The main event features Mitchell, a familiar face on Jenkins produced events, taking on the always-tough Scott Futrell out of Modern Combat Systems. Mitchell competed in the main event of MMASF's May event at the Heart of St. Charles losing by submission to Kunz. Mitchell, now 5-2-1, brings a mix of athleticism and heart. Fans who witnessed the showdown with Kunz saw the crowd power Mitchell through some very tough spots before he ultimately fell prey to a rear naked choke. At 6-foot-4, Futrell is a tough match-up for almost anyone. The Texas transplant has learned to use his range to keep most opponents at bay, with a good clench game. Futrell owns two wins over Kunz from last year. Mitchell at 6'2 will only be giving up a couple of inches to Futrell, neutralizing the obvious advantage of "The General". This should make for a very intriguing match-up. "Scott has sharper stand up," Jenkins said. "But Clay has a more evolved ground game." 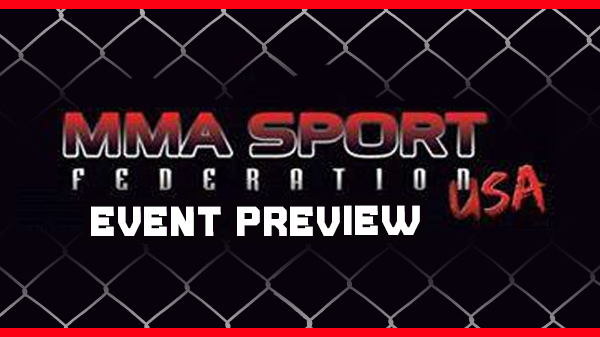 One to watch on Friday night is Erion Zekthi out of CMMA. While the young bantamweight is still looking for an opponent at the time of this article, don't count out Jenkins on finding him somebody. Zekthi was very impressive in June, beating Cody Winisterfer in just under a minute in the under card. "He's a very good prospect with a strong wrestling base," Jenkins said. "His stand-up and jiu-jitsu are coming along very well. He's extremely dedicated, and works super hard." In a special feature bout, Jen Reed and Wendy Jullian will compete in a K1-rules contest. Reed has good stand-up and will be tested against the War Room's Jullian who has been taken under the wing of talented coach Jon Menke.